Oncology & Haematology is a new e-book in a collection of subject-themed e-books containing relevant key articles from Medicine. The e-books provide a perfect source of revision for post-graduate exams in clinical medicine and portfolio material for life-long learning. As well as mapping to the UK Core Medical Training curriculum, these e-books also enable anyone with a short-term interest in a specific area to buy individual articles at a price-point that will give affordable access to all readers (from medical students to GPs and practitioners in related areas). The quality of user experience on mobiles, tablets and laptops will be an added bonus for learning on the move. The whole board has been involved in the creation of this content and are therefore listed as authors on all the e-books. In addition we extend our warm thanks for their contribution to these e-books to the past Chairman Allister Vale (who stepped down from the board in 2015) and to John Mucklow, who stepped down in 2016. The parent journal (www.medicinejournal.co.uk) is a rolling, continuously updated review of clinical medicine over a 4-year cycle covering all the important topics for core medical training. Its Editorial Board comprises some of Europe’s most influential specialists. The journal’s articles are refreshed, updated, augmented or replaced as appropriate each time the subject is due for revision to provide a concise overview of knowledge and practice core to the curriculum. Each article is written by invited experts and overseen by the relevant subject specialist on the Board. A trainee representative on the Board ensures relevance and accessibility for exam candidates. 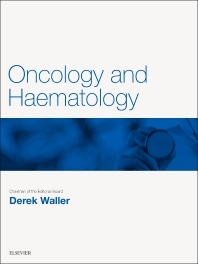 Oncology & Haematology　is a new e-book in a collection of subject-themed e-books containing relevant key articles from　Medicine. The e-books provide a perfect source of revision for post-graduate exams in clinical medicine and portfolio material for life-long learning.